Gangster and 7th Day (Seventh Day) are two malayalam movies which are gearing up for release and clinch box office success. Can Gangster and 7th Day break all box office collection records? The most two hyped movies of the year will be released on the same day; 11th April 2014. Both have adopted the most advanced stylish making which can be comparable with bollywood movies. Read more to know about Gangster and 7th Day. It's time for the movie enthusiasts to have a sleepless night as two of the most anticipated movies are releasing on a day. The most hyped among the two would be Ashiqu Abu's 'Gangster', which is set against the backdrop of Mangalore's organised crime groups. Megastar Mammootty would be seen in as the most stylish don, Akbar Khan. The movie being an underworld action escapade is the life of Akbar, son of Illyas Ali Khan, the scion of a mafia group. 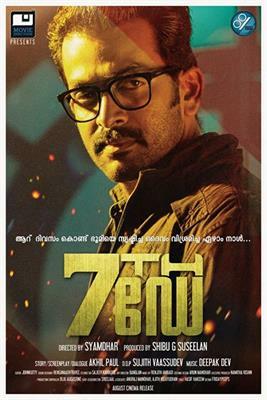 This big budget action thriller would the latest in arms for Mammootty after his majestic performance in 'Samrajyam'. Gangster will be a complete entertainer which will hold the viewer's intact without breaking excitement from tail to end. Akbar Ali Khan, the son of an old don has good relationship with many political power players and bureaucrats. The empire is passed on to him as a legacy and he is at the upper echelons of the illicit network. The other two underworld dons are Mani Menon played by Kunjan and Uncle Sam played by John Paul. The determination present in the eye of Akbar Ali Khan makes it clear that something beyond our imagination and reach will be portrayed in the movie. Nyla Usha gives life to the character role of Dr Sana Ibrahim while Aparna Gopinath plays Lilly. Since Mangalore was the main location a couple of newbies and Kannada theatre artists would also be in the cast. The young film maker has given a fresh-and-brisk treatment which will be one of the highlight of the movie. 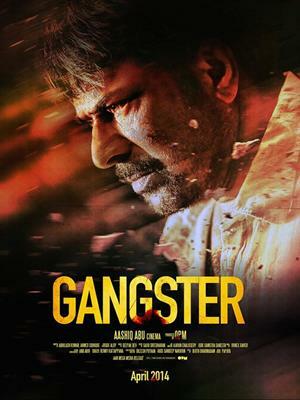 'Gangster' will have a world wide release with 120 theatres already booked for the show. The other main attraction would be Mammootty's total make over including his salt-and-pepper hair and featuring in sleek jackets and swanky goggles. Various innovative marketing techniques were used by Aashiqu which includes the unveiling of the first look posters and a 2D motion trailer video. T. G. Ravi, Sekhar Menon, Hareesh Peradi and Dileesh Pothan would give life to other prominent characters in Gangster. Scripted by Ahmed Sidhique and Abhilash Kumar, the movie is produced by OPM and distributed by Aan Mega Media. Another much hyped movie which is getting released on 11th April would be Prithviraj's 7th Day directed by debutante Syamdhar. Scripted by debutant Akhil Paul, '7th Day' is a crime thriller who revolves around David Abraham IPS and his investigation. David who is suspended from the Crime Branch Department of Kerala Police for a fussy reason initiates to investigate a case which is not recorded in the crime records. On the seventh day of the investigation, some stimulating incidents happens which brings a U turn in the story. The script which hides some mysteries would be unveiled as it reaches the climax. Prithviraj will give life to a matured and a slightly aged character. Produced by Shibu G. Suseelan under the banner of Movie Junction, the movie was shot at locations set at Ooty, Ernakulam and Wagamon. To be released in 70 theatres, '7th Day' will have a retupted cast including Janani Iyer, Aravind Swamy, Vinay Forrt, Anu Mohan, Tovino Thomas, Praveen Prem, Joy Mathew, T. G. Ravi and Yog Japee. Sujith Vasudev has captured the beauty of the situations, while the background score and music set by Deepak Dev which would give freshness to the movie. So it is much sure that both the movies with a long star cast would bring the audience to the theatres. Much interestingly, Dileep's Ring Master, Kunchacko Boban's Polytechnic and Fahadh Faasil's 1 by Two would reach theatres back to back giving a tough competition to the other flicks.